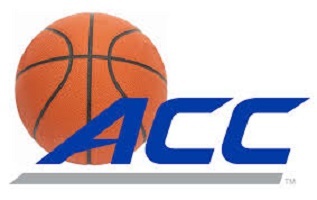 The ACC kicked off its week in a big way, with the most anticipated matchup to date in the 2018-2019 college basketball season: then No. 4 Virginia at then No. 1 Duke. The game, reported by Nielsen as the most-watched game of the season, went to the Blue Devils 72-70. Both teams shot over 50 percent from the field, but they combined to shoot 5-of-31 from 3-point range. The Cavaliers are typically the team known for lockdown defense, but Duke, minus quality perimeter defender Tre Jones (out with a shoulder injury), played arguably the better defensive game, frustrating the Cavaliers with switches all game. RJ Barrett led all players with 30 points, and Zion Williamson finished with 27. It marked the seventh 25-plus point game of the season for each player. Barrett and Williamson would score 26 and 25 points, respectively, a few days later in a win over Pitt. Now at eight 25-plus point games apiece, the two are tied with Marvin Bagley III for most such games by a Duke freshman. Only Duke’s current freshmen have 10-plus regular season games left, along with the ACC and NCAA Tournaments. Ironically, Duke fell to No. 2 and Virginia rose to No. 3 in the subsequent rankings. The Blue Devils loss to Syracuse earlier in the week facilitated the drop, and Michigan’s upset loss opened a spot for the Cavaliers in the top three. Virginia rebounded, downing Wake Forest a few days later 68-45. No Virginia player scored more than 12 points, but five finished with double figures. After suffering the worst home loss of the Roy Williams era, North Carolina has rattled off three-straight wins, capped by an offensive outburst against ranked foe Virginia Tech. The Tar Heels allowed 82 points to the Hokies but posted 103 of their own. Coby White led the way with 27 points. Freshman Nassir Little continues to come off the bench, but he scored 23 points in 20 minutes as part of an efficient shooting night. Little shot 7-of-12 from the field and was a perfect 7-of-7 at the free throw line. Boston College entered Saturday as the lone ACC team without a conference win. That changed Sunday, after a come-from-behind 87-82 victory over the struggling Florida State Seminoles. Ky Bowman led all ACC players this week with a 37-point performance in the contest. After struggling for much of the season, senior Jordan Chatman rediscovered his shooting stroke during the game’s second half. Chatman made all five of his 3-point attempts during the game’s final 20 minutes. ACC play has not been kind to Florida State. The loss to Boston College dropped the Seminoles to 1-4 in conference play. A win over Clemson brought the record up to .500, but concern has certainly been mounting for the once-hot Seminoles. Louisville capped off the week with an 84-77 home win over NC State. The Cardinals (14-5, 5-1 ACC) have been arguably the biggest positive surprise in the ACC this season. Expected to be a bubble team, Louisville, behind Jordan Nwora’s 18.2 PPG, has re-established itself as a top-five team in the ACC. The defeats include close neutral site losses to Tennessee and Marquette, as well a one-point loss at Indiana. The Cardinals do, however, handed Michigan State one of its two losses on the season and was the team mentioned above that ran North Carolina out of the Dean Dome a couple weeks ago. There’s no Virginia-Duke matchup to highlight the coming week of ACC play, but the schedule does offer a few interesting challenges for the conference’s top teams. Virginia travels to South Bend to take on Notre Dame Saturday, followed by a Tuesday night matchup against No. 21 NC State. Duke will also travel to Notre Dame this week. The Blue Devils take on the Irish Monday night. On the heels of defeating Duke in Durham a little over a week ago, Syracuse faces Virginia Tech and Boston College, both on the road. While there may be a lack of ranked-versus-ranked matchups this coming week, there will be plenty of opportunities for the ACC’s bubble tier of teams to earn résumé-boosting wins.